The station dates from about 1876, when the Palmerston North - Feilding section of the North Island Main Trunk opened. The station handled local farm traffic, but also was the junction for a short branch line which ran toward Colyton between 1879 and 1895. In later years large quantities of agricultural lime were railed to Taonui for distribution in the local area. 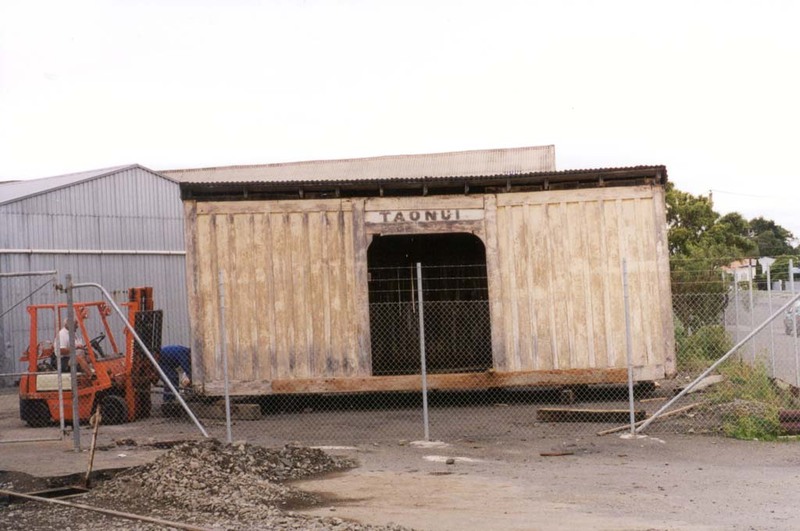 Taonui Station was closed in the 1960's. The station was sited between Feilding and Bunnythorpe and had been stored not far from its orginal location on a farmer's property. The farmer donated the station to us and we have made it part of our depot. 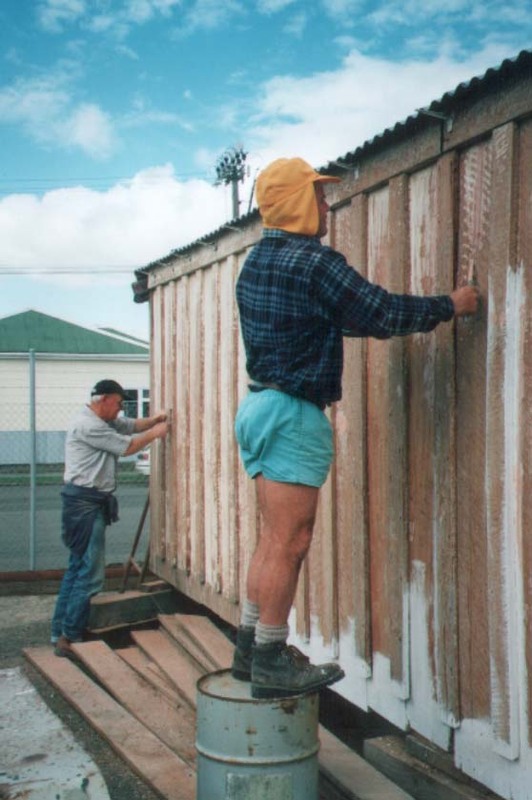 Bob Judd and friends have worked hard and restored the ex-Taonui Railway Station. 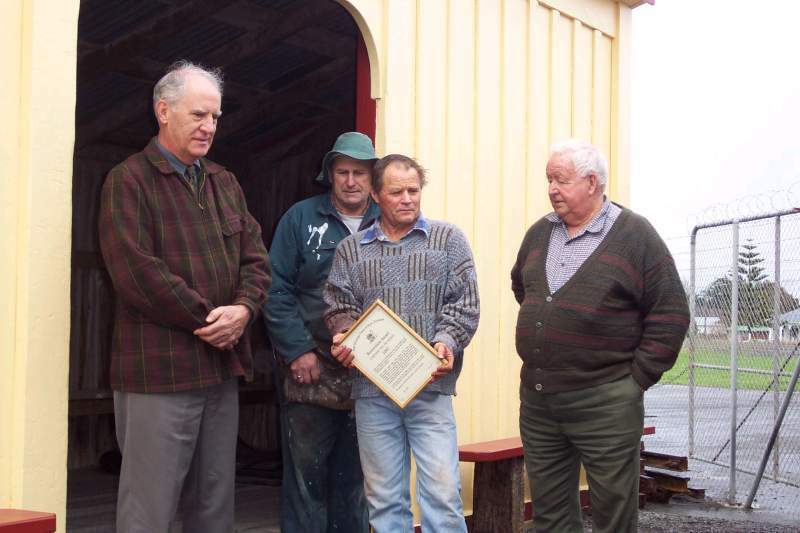 On the 2nd of June 2002, the Rail Heritage Trust of New Zealand presented Feilding & Districts Steam Rail Society a Certificate of Merit for the Restoration of the Taonui Railway Station. Well done Bob Judd and friends. Euan McQueen presented the award to the members at Feilding Steam Rail. 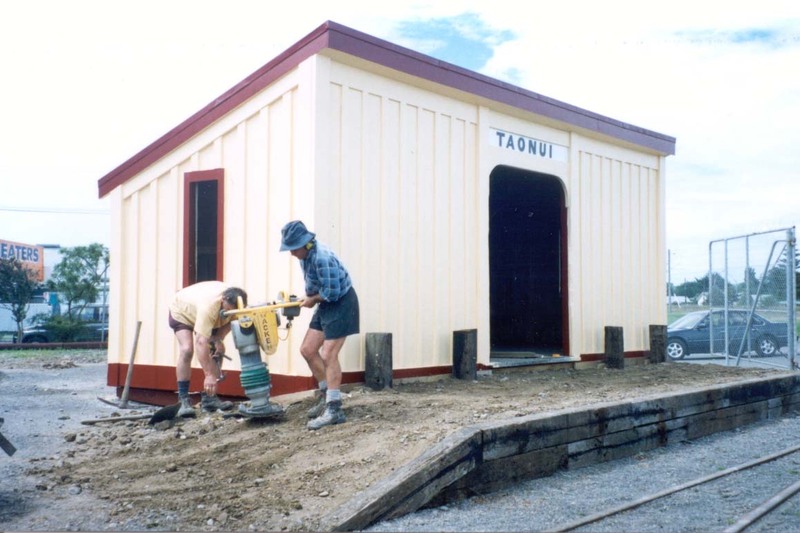 The completed Taonui Railway Station. Bob made a platform and can be seen compacting the gravel. The decision was made that the station should go near the entry to the depot and the Station was put on new piles. The new piles were in this case were railway sleepers. The old paint was removed first and then the many coats of new paint was applied. 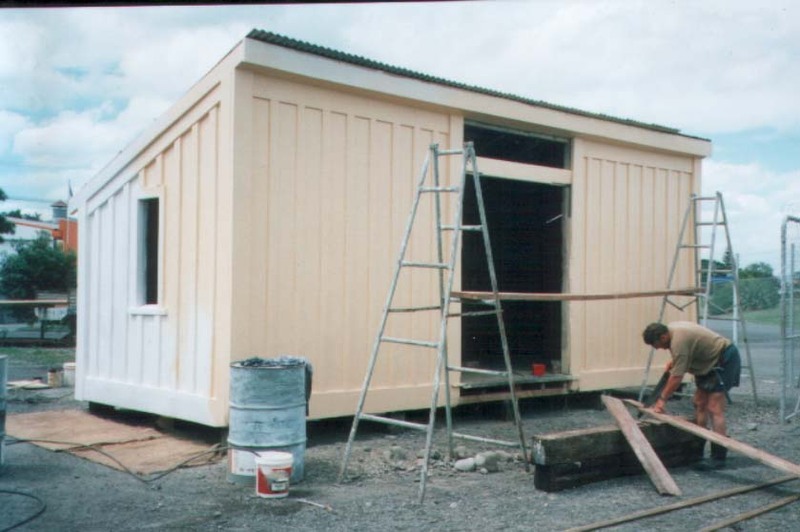 We moved the station to Feilding by truck and the station got quite out of shape during the move. Bob soon had it all straight again and onto piles.